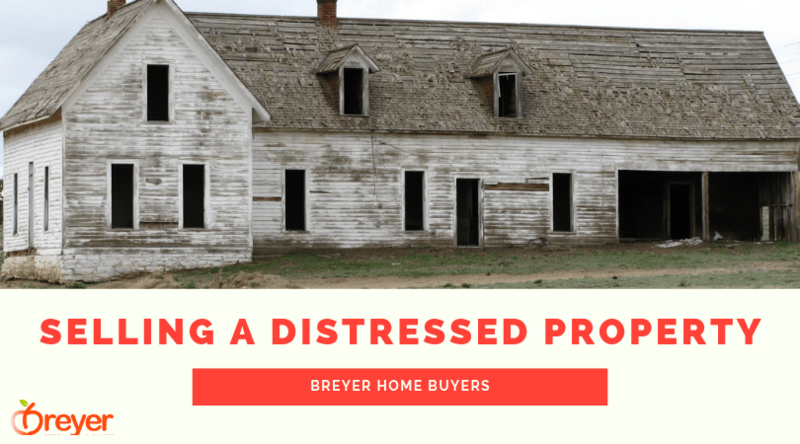 Selling a distressed property doesn’t have to be stressful. You might think that selling a distressed property will be difficult and time-consuming. In some cases it is. However, with our top 10 expert tips for selling a distressed property, you will be able to sell quickly and for a fair price. Keep ready to learn more about how to sell your distressed house in Atlanta! Selling your distressed property to a professional buyer such as Breyer Home Buyers will save you time and money. Listing your Atlanta house can be expensive and you will have no idea when it will actually sell. By selling it directly, you will be able to have your closing date right away and also avoid the expensive commissions an agent will charge you. If your property is in need of major repairs or if it is going into foreclosure, you will likely want to sell it quickly. Taking some small steps to make it visually appealing will help buyers see it in a new way. Clean up as much as possible and make any cosmetic fixes you are able to. Try to showcase the property’s potential to help people see beyond its flaws. When you sell to Breyer Home Buyers, you don’t have to deal with cleaning the house. We buy properties in “as-is” condition, meaning you take only what you want. If you are worried about the condition of your home, don’t. We have seen worse. Trust us. No matter what is wrong with the property, you need to be upfront about it and disclose it to all parties involved. By not letting people know about property defects, you could be setting yourself for a lawsuit down the road. Here’s more about what disclosures to look out for to keep yourself legally safe. There is a buyer out there for your property, and you will find them! Think about the people who are actively looking for distressed properties. Market to investors and other buyers whom you think would have an interest in your house. It can help to join some local real estate or investment groups in your area to really get the word out. If you work or don’t have the time to market your property or attend meetups, reach out to local investors on Google. Cash home buyers prefer homes that need a little love. These investors flip properties or hold them as rental properties and need to push up home values through renovations to make the investment worthwhile. There isn’t as large of a market for distressed properties as there is for turnkey homes. It might take a while to find a buyer and then to have that buyer close on the property. Most Realtors only service homes that are fully renovated since they bring the most money. Going the route of For Sale By Owner, you will deal with a lot of tire kickers who will waste your time. This can be frustrating when trying to sell within a specific timeframe. If time is an issue, your best bet will likely be selling it directly to an investor. At Breyer Home Buyers, we know how much we can offer you and you can have the confidence that we will close. Selling directly to an investor will allow you to wash your hands of the hard work of marketing your property. It is important to have a plan B just in case you aren’t able to sell the property. Consider turning the property into a rental. This approach will obviously force you to manage tenants, but you will bring in cash flow to cover the expenses. Another option is finding a loan to help you with repairs, such as a 203k loan or a home equity line of credit. You will have to manage contractors who are notoriously bad at quoting the price and time to renovate your house to sell with a Realtor. It is important to think about the what if’s so you don’t find yourself foreclosed on. Sometimes, it’s easier just to be done with it. You know the drill – sell to an investor and let them deal with the mess of contractors and tenants. You might think your house is worth a certain amount, but once you factor in the necessary repairs and upgrade it requires, the actual value of your property today might be much less than you had originally thought. Be realistic about what your house is worth in the condition it is in. Note that Zillow Zestimate does not take into account the repairs needed on your home. If your home needs a kitchen and bathroom updating, but the other homes around you are selling for $250k, then you’ll have to reduce the price by the cost to make the repairs to bring it up to a similar condition. Don’t expect to get retail prices for a house that needs repairs. This is the most common mistake that sellers make, causing them to not sell the house for months or years later. The worst part – they usually get an amount for the house that’s close to the lower offer that they didn’t want to accept originally. The better choice is to figure out what range you’re going to be getting offers in and accept the most credible investor that can deliver on closing on your house. If you choose to sell the house on your own, you will be responsible for taking care of all the paperwork. You will need to provide disclosure documents and create the contract. Everything must be legal and by the book as to protect yourself from a lawsuit after selling. When you work with us, we handle all the paperwork, so you will have one less thing to worry about. People are going to try to come at you with low-ball offers. If you are able to, stand firm until you are able to get a realistic offer on your house. You don’t have to jump at the first person who makes an offer unless this is your only choice. At Breyer Home Buyers, we always pay fair prices for houses, distressed or not. You will always receive an offer with a list of repairs we need to make to flip the property. Our offers may not work for everyone, but we are transparent in how we come up with our offer. Most companies will just a low ball you without an explanation of how they came up with that offer. Watch out that you aren’t being taken advantage of. Ask for the business operations estimates and repair list estimates for each offer.